Hark! The Snack Gawd speaks out. If you read my last column, you’ll understand the magnitude of my snacking obsession. While most adults abandon Lemonheads and packaged pastries, those sort of treats stay heavy in my rotation. I’m not complaining either. In my world, snack mixes are just as valued as Beluga caviar. The old standard, Keystone mix, which you can find in random vending machines and bowling alleys across the country, includes pretzels, barbecue corn chips, crunchy cheese puffs, and nacho cheese chips; it is the grandfather of the Munchies mix and Chex mix. Years ago, Keystone snack mix was the only option, and it was up to bartenders, party-throwers, and snack innovators like yours truly to create their own mixes. More recently, snack mixes at bars were axed due to germ concerns, substituted with tapas and other single-serving bar bites. Despite these hurdles, snack brands have not backed down. There are now around 43 flavors of Chex Mix, for instance, and brands like Frito Lay have entered the fray too. This month’s column is not wholly dedicated to the snack mix; rather, it’s a call to action—to make your own medley. Or, at the very least, try one of the mixes recommended here. Without further ado, here are my Bangers of the Month. Why you need it: TGI Friday’s is a pretty important part of my healthy-living heritage—their chicken fingers and nachos inspired a few birthday dinners on their premises before I hit 10, and I still patronize the chain at least once a year (an old co-worker and I had a running joke about attending the Times Square location’s $200 open bar and all-you-can eat appetizer NYE party, but alas, nothing came of it). To my surprise, they entered the snack game a few years ago with snack versions of some of their famous apps: mozz sticks, potato skins, onion rings, and jalapeno poppers. I can’t say I recall ever having any snack mix at a Friday’s, but that hasn’t stopped them from bagging up their own, and you should be glad they did. 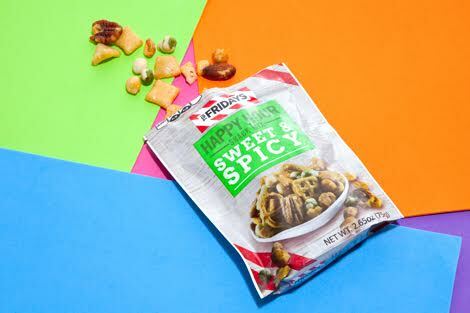 The Sweet & Spicy mix contains the unprecedented pairing of butter-toffee peanuts, wasabi peas, roasted almonds, pecans, cashews, rice crackers, cajun corn sticks, and honey-mustard pretzels. It’s one of the most varied and interesting mixes around—plus, you don’t have to wait around a busy lobby with a plastic buzzer to try some. Why you need it: If you know anything about snacks, you know that Mallomars are not a revelation or discovery. However, if you’ve been living under a boulder for the past 102 years, then I will happily educate. Here you have a cookie, with a marshmallow on top, wholly enrobed in a layer of chocolate that cracks like an egg when you apply the right amount of pressure. And somehow, some way, it seems every year when the weather turns on the East Coast, these delights go on sale at local grocers—just in time to stockpile the iconic yellow boxes for the long hibernation ahead. 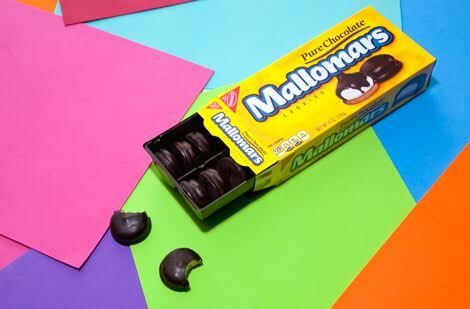 Lord knows you can’t get through autumn and winter without a few Mallomars to the gullet. 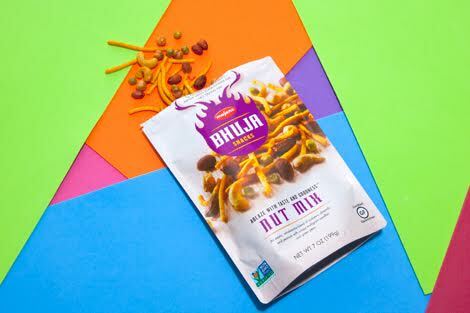 Why you need it: Made in Australia, but generously offered in the U.S., Majans Bhuja Snacks Nut Mix is one of the most addictive mixes I’ve sampled in a while. Seasoned with a blend of Indian spices, it has the right combination of zest and salt. For you health nuts, it is also boasts a low glycemic index, high protein and fiber, is suitable for vegans, and is also cholesterol free. How do they do it? Simple—the mix contains only cashews, peanuts, almonds, green peas, and multigrain noodles with no other additives besides the seasonings. The bag is not tiny (7 oz. ), but I still almost finished it in the initial sitting. Highly recommended, and much better than a bag of papadums. 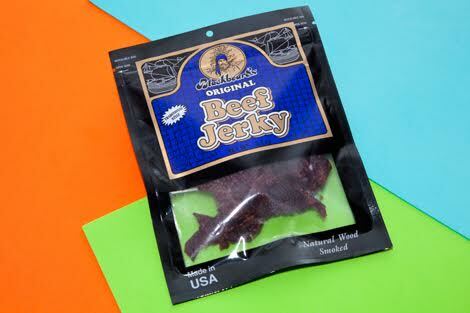 Why you need it: Since jerky is one of America’s finest foodstuffs, one can usually find great stuff at local convenience stores or gas stations across our great nation. It’s no surprise then that I came across amazingly delicious jerky at a random gas station on a trip from the Poconos back eastward. But it was a surprise that Blackbeard originates from eastern PA (as do I), and yet has somehow eluded my greasy jerky-grabbin’ paws for some time now. Regardless, Blackbeard jerky succeeds where others fail by maintaining a fibrous, yet moist texture, so you don’t have to gnaw on it. It hits all the right notes too: smoky, peppery, salty, and sweet. Why you need it: Klondike is O.G. If you were born in the ’80s, it used to be one of the only games in town. Your granddad probably had some in the freezer (mine ALWAYS did), and at some point they got B-team status when other higher-quality options came into the mix. But Klondike still has the foundation of being a classic treat, which allows them to workshop new ideas. 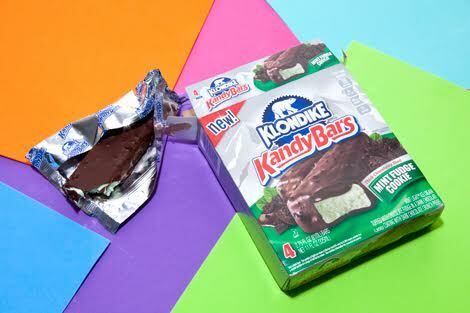 In this case, Klondike takes a frozen Snickers/Twix-bar approach to mint ice cream, cookies, and dark chocolate fudge, while widening the actual bar to make it a more substantial treat. The result needs to be sampled for your own pleasure. Be warned: Klondike has a new classic on its hands. Why you need it: Twelve flavors—yes, double digits. Take that Haribo! Okay, no shots at potentially my favorite candy company, but when your closest competitor has five flavors, it’ll make some noise. A dozen is a premium, and Albanese knows this. The flavors include Wild Cherry, Strawberry, Pink Grapefruit, Orange, Mango, Lemon, Green Apple, Lime, Blue Raspberry, Watermelon, Grape & Pineapple. Way beyond what you’d find anywhere else. Overall, these bears are the perfect gummy texture, and even though not every flavor is a banger itself, the reality is 12 flavors in one bag is. Why you need it: These meat snacks taste like a high-grade Slim Jim, which was my entry point into the meat-stick snack world decades ago. But unlike Slim Jim, these are named after the Wellshire Farms owner’s son Matt, and I immediately realize that one of my new life’s goals is to inspire a packaged meat snack to name a product after me. 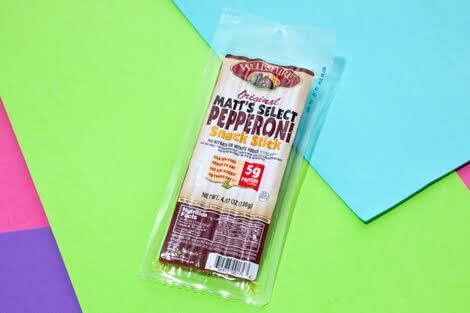 Matt’s pepperoni sticks are gluten-, nitrate-, and nitrite-free, packed with pork and beef that is humanely raised on a vegetarian diet (a.k.a., no guilt involved here). The seasoning, texture, and casing are all on point. Why you need it: If you like sour candy, these are some of the best. 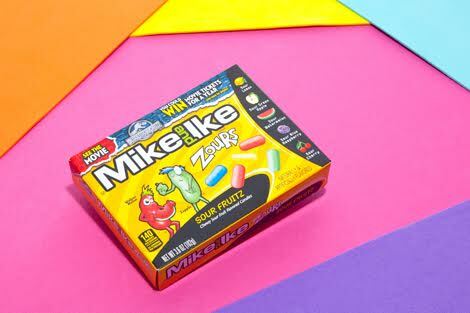 They’re actually sour, they come in five flavors, and the texture is soft and chewy like a normal Mike & Ike with a tart shell. Their status, however, is a whole other story. I’ve seen them go from every convenience store to appearing exclusively in the discount shelves at Target and local pharmacies (a.k.a., candy purgatory). 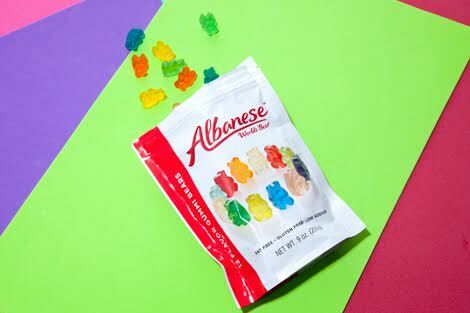 I would encourage Just Born (Mike & Ike manufacturer) to take note of Albanese and put all 8-9 Zour flavors they’ve ever created into one bag.